The Americans with Disabilities Act (ADA) was officiated during the first George Bush’s presidency. Essentially the law states that if a good or service is offered to the public than it must be offered equally, or in such a manner that the good or service is made accessible. What is considered equal or what is considered accessible is what the Americans with Disabilities Act defines. Title 1 is employment, which we do not do. Title 2 is goods and services from the government, which we can help with. Title 3 is goods and services from the public which is our main service. Title 4 telecommunications which include TV and websites. Thus, the ADA has building code elements but the ADA is civil law, as it defines what is discriminatory behavior from businesses which do not offer goods or services in manners that are compliant with what the law stipulates. Many states have complementary building code to echo the requirements of the ADA, as building enforcement agencies are state operated. There are three issues with this. State agencies do not have the jurisdiction to enforce the ADA. Building code and ADA requirements may not be completely compatible. Building code is mainly enforced only when a permit is pulled although the ADA is enforced through every offering of a good or service. 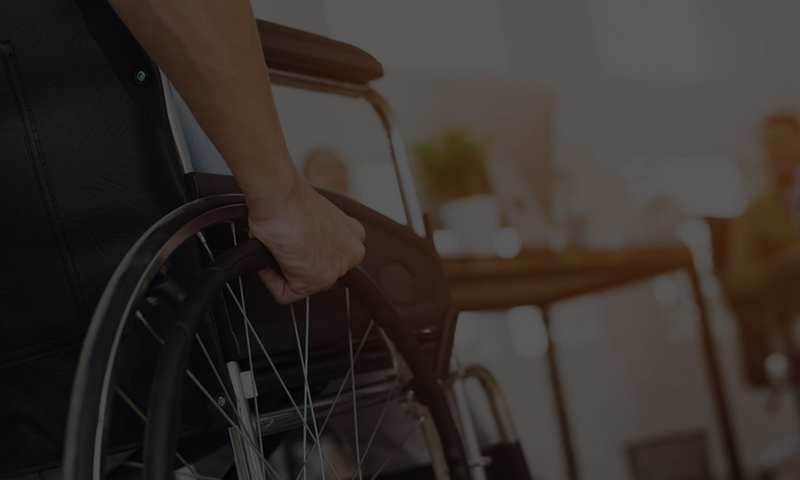 Thus, our service is driven by the needs of businesses to manage their ADA liability. Click on the service tag to see how we can help your business.